In today's SUV market, standing out is more challenging than ever, especially when it comes to the midsize SUV class. There are just so many models and options available! Despite the stiff competition, the Chevy Traverse has consistently been one of the best-selling and most critically-acclaimed SUV models year-in and year-out. 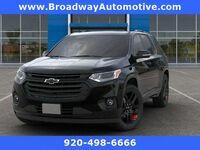 Now, the newest edition of the popular Chevy SUV, the 2019 Chevy Traverse, is available at Broadway Automotive! 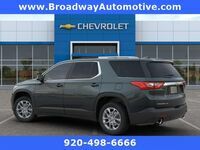 Every year Chevy makes its new models better and more valuable to drivers than the year before, and it looks like they succeeded with the 2019 Chevrolet Traverse! In this model research page, we're going to break down everything you need to know about the newest edition of the Traverse, from its powertrain to its safety features! Let's get started! No better place to start than underneath the hood! 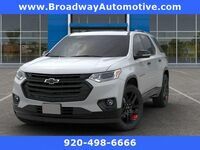 The 2019 Chevy Traverse comes standard with a robust 3.6-liter V6 engine that offers performance and efficiency by delivering 310 horsepower and up to 27 mpg highway! Plus, the Traverse offers different drivetrain options and modes drivers can choose from like Forward-Wheel Drive, Off-Road, 4x4/Snow and Tow/Haul! A driving mode for every situation! One thing that hasn't changed for the 2019 Chevy Traverse is its incredibly spacious interior that can seat eight passengers and still have 23.0 cubic feet of cargo space left over! Plus, the interior of the 2019 Chevy Traverse is as adaptable and versatile as ever with its Smart Slide Seating and hidden storage compartments, so you have more space and can keep expensive items out of view. Also on the interior of the 2019 Chevy Traverse, drivers will find tons of available technology features to make the driving experience more entertaining and easier! Integrate your smartphone seamlessly with the Apple CarPlay and Android Auto functionality, and never use up your cellular data in the car again thanks to the built-in 4G LTE Wi-Fi! 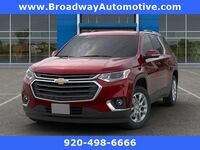 Test Drive the 2019 Chevrolet Traverse at Broadway Automotive in Green Bay, Wisconsin, Today! Not only is the 2019 Chevy Traverse powerful, efficient, roomy and fun, but it's also safe! Thanks to its wealth of advanced safety features and technologies, the 2019 Chevy Traverse helps drivers become more aware of their surroundings while driving and will also step in to help out when needed! Like the Forward Collision Alert, which will monitor the Traverse's distance to the car in front of it and will alert you if it detects a potential crash. Or the Front Pedestrian Braking which will automatically apply the brakes if its detects the Traverse is about to hit a pedestrian. Want to learn more about the 2019 Chevy Traverse? Contact our staff at Broadway Automotive for more information or to schedule a test drive today!